Hardcover, 191 pp., 28 pls. 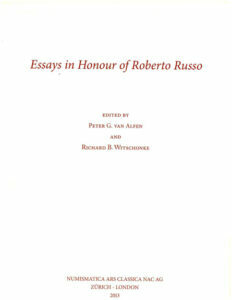 This volume is a Festschrift in honor of Roberto Russo. 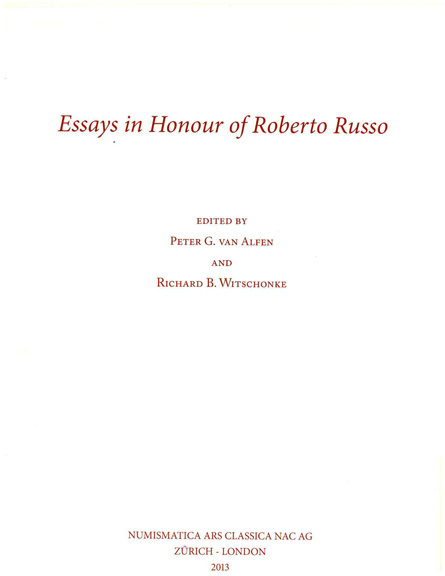 This volume includes important articles and research on Greek and Roman Republican numismatics written by some of today’s most important numismatists and scholars including: Keith Rutter, Christof Boehringer, Alberto Campana, Giovanni Santelli, John Morcom, Haim Gitler, David Vagi, Andrew Burnett, Andrew McCabe, Richard Schaefer, Andrea Pancotti, Roberto Russo, T. V. Buttrey, Richard Witschonke, Clive Stannard, Bernhard E. Woytek, Michel Amandry, Frank L. Kovacs, and Lucia Travaini.